Retired and travel RV full time. Most times spent in state parks, I plan to try some boon docking soon. This park is a gem. Beautiful views is the surrounding area. Incredible night sky as this is a certified dark sky park. There is a longhorn herd that you can hand feed on Fridays and Saturday afternoons. Great hiking trails and an abundance of wildlife to see. We camped at Copper Breaks State Park in a Travel Trailer. There is a very nice museum in the headquarters plus a longhorn herd to see and feed! This is a certified dark sky park so bring the camera and telescope! Very friendly staff and good water views from all of the sites. It is mainly an RV Park for long term residents but it is kept clean and well maintained. Good place for an overnight stay or longer if you need to be in the area. We camped at Emerald Hill RV Park in a Travel Trailer. On Lake Corpus Christi with swimming and fishing. Mostly long term campers. I had family matters in the area and it was a nice clean spot for a two day stopover. Not a vacation destination but if you need to be in the area it is a nice quite place to be an the price is good. I never could get the park Wi-Fi to work, signal too weak. We camped at Lakeridge RV Park in a Travel Trailer. Lake area, a Walmart and some shopping and places to eat. Lovely park to RV camp in. Full hook ups or electric / water for a few dollars less. All sites are pull through and that probably is a plus for some people. The restrooms are small and that could be a problem on the weekends as the park is heavy used by day visitors and tent campers then. They have a nice fishing pier and non motorized water craft rentals. We camped at Lake Corpus Christi State Park in a Travel Trailer. Nice country setting with a small town nearby for grocery shopping, not much more. But only about an hour north of Corpus Christi and there is a lot to do there. Large, very pretty state park. Nice hilly terrain, lots of trees and a great view of the lake. Relaxing place for just a stop over or a vacation. About twenty miles out of town so come with plenty of fuel and what you plan to eat. We camped at Lake Catherine State Park in a Travel Trailer. The signs in the park are small and hard to find and the map they give you is sort of confusing. Drive slow and pay attention so you don't miss your section or your site. I wish that I had more time to stay at this park. They have a small onsite museum here and the original 1700's fort has been rebuilt. Lots of history to explore. The park is drop dead gorgeous. We camped at Fort Massac State Park in a Travel Trailer. Old fort and small museum to explore. Town is close for shopping and only a few miles back across the river to Paducah, Kentucky. Lots to see and do there. But you might not want to leave the park it is so nice. This is a nice county park just a few miles from town. I was in the area to visit an old friend so the location was perfect. Facilities are older, but not run down, it looks like they do their best to keep the place up. The campground is small with a limited amount of camping pads. I got the impression that it is mostly used by locals for weekend camping. We camped at Lake Shelby Campground in a Travel Trailer. The Claudia Sanders House restaurant is there. 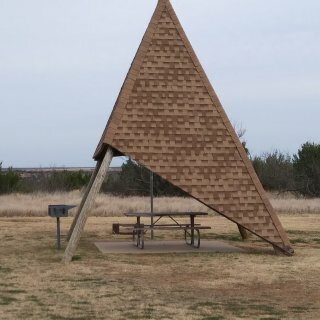 The Colonel built it for his wife right after he got KFC going well. Out of this world good food and very reasonably priced. Plus only a 15 minute drive in to Louisville to see all sorts of things. This park is old and run down and has a lot of long term construction workers staying here. The sites are gravel, un-level and right on top of each other. They have cable TV on the power pedestal, but you have to go to the office and rent a converter box. They have Wi-Fi but the signal is so weak that it won't do anything but hook up and unhook constantly. I never did get on line and had to use my minutes on my hotspot. Sewer pipe is sticking way too high out of the ground, hard to use with a small travel trailer that is low to the ground. The only reason I gave the park four stars is because of the location. If you need to be in Evansville, it is close to town. The lady in the office was nice and helpful. We camped at Vanderburgh 4-H Center in a Travel Trailer. There is a casino downtown, many places to eat. Not much to do at the 4H Center unless there is something going on at the time. They were full when I was there preparing for a demolition derby. This is a beautiful Arkansas State Park that does not have many RV sites, 18, and fewer tent sites. However it has many walking trails, some with bridges. Not a lot to see or do in the area, but if you want peace and quiet in the woods, this is the place to be. The Arkansas Parks and Wildlife site leads you to believe there is WI-FI in the park, there is NOT. They do offer it in the rental cabins only. I took a three day break from the road, and this was a great place to get some rest. 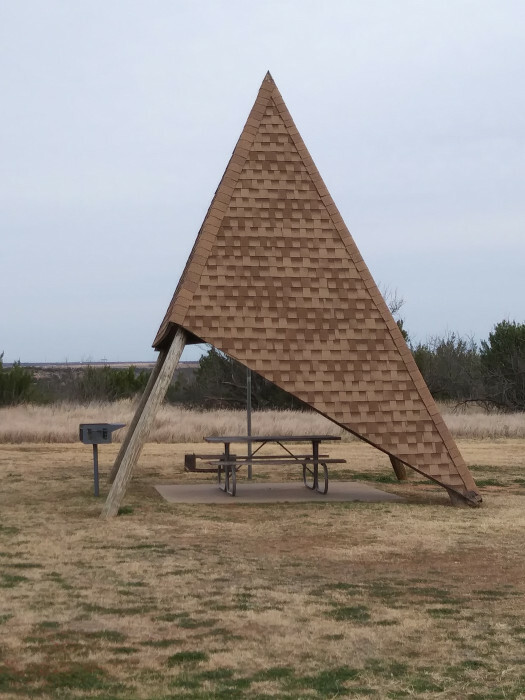 We camped at Crowley's Ridge State Park in a Travel Trailer. There is a small gas station / store / restaurant about three miles away that serves breakfast and lunch only. The only attraction here is camping and hiking. There is a larger town about 15 miles away that has more to offer in shopping and eating out. This is a county park that has the fairgrounds arena and coliseum here. There is also baseball fields and basketball courts. Lots of people milling about and the park is not secured at night, I didn't like that. The price is fantastic, $15.00 for a site with water and electricity. The park consists of an open field with water/electric pedestals scattered around. The power in the pedestals has one each of a 30 and 50 amp plug in. So two units that need 50 amp can't park next to each other. To shower or use the restrooms you have to walk to the office about 100 yards away. They give you a key to the door if you want to use the facilities after they go home at five. Not a lot for me to do at the park, but peaceful here and plenty to do/see in the area. 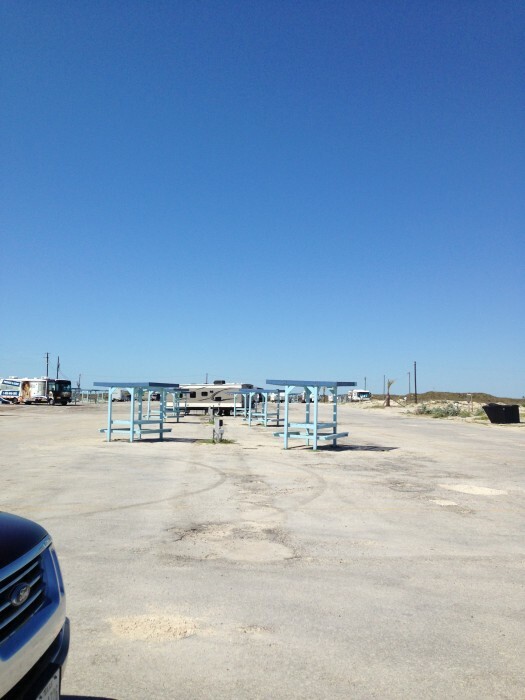 We camped at Fair Park RV Park in a Travel Trailer. Hope is a nice little town. There are several very good restaurants in the area. All types of food, one with home-style cooking. There is a museum nearby and lots about Bill Clinton being born here. Anything over 25 feet has few spaces to stay in other than the spaces with sewer and they are $5.00 more per day. My 20 foot trailer barely fit in my site and the parking for the truck is side by side. The park is old and run down and not maintained very well. It does fill most weekends as the location is just minuets from Fort Worth, Dallas, Grand Prairie, Arlington and everything in the Metroplex. The location is the only reason I ever stay here! We camped at Cedar Hill State Park in a Travel Trailer. Plenty to do nearby, Wal-Mart and other shopping only 2.5 miles away. This state park is about 120 miles north of Houston and 90 miles south of Dallas, 10 miles off of IH-45. A really nice state park with lots of pull through big rig sites, but no 50 amp, 30 amp only so bring an adapter. Local town is 13 miles away, a few cafes, local grocery is expensive, but has great steaks. Verizon cell service is 3G and spotty. Hotspot wouldn't work. We camped at Fairfield Lake State Park in a Travel Trailer. Fishing is free no liscense required as long as you fish from the bank or the fishing pier within the park. Nice walking trails. Not much in the way of local attractions, there is a tiny one room museum in Fairfield. This is an older park that has the spaces very close together. 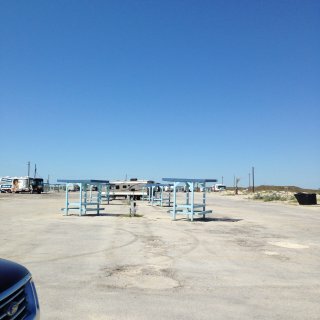 The value is very good for the location on Padre Island very close to the beach. All there is between you and the beach is the sand dunes, about a hundred yards. This is a county park and the county is in the process of building a new addition to the park with the sites much further apart. However, their plan for the new section is double the price of what you pay now. The staff tells me that the county intends to keep the old section open at a lesser price. We camped at Padre Balli Park in a Travel Trailer. There is a restaurant on the pier adjacent to the park. A short drive to Corpus Christi has many attractions. The USS Lexington, a WW2 Aircraft Carrier, a wonder Aquarium, great down town entrainment district. Too much to list.